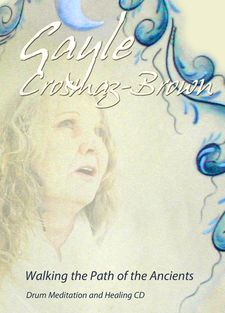 Gayle Crosmaz some call a Spiritual Activator, lives part time on the door step of the wilderness of Algonquin Highlands Ontario Canada. She is a master drum maker of ceremonial drums, an artist, author, teacher, public speaker and performer. Gayle travels to many countries bringing hope to those wishing to awaken the deepest parts of their soul. 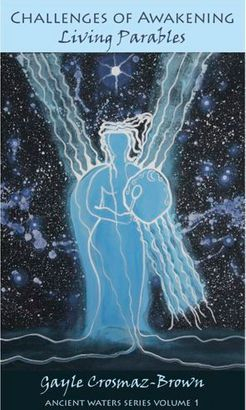 - She provides individual healing sessions using sound vibration and energy. - Gayle travels to many countries bringing hope to those wishing to awaken the deepest parts of their soul. - She is high functioning AUTISTIC and has opened the eyes and given clarity to some whose lives have been touched by autism. 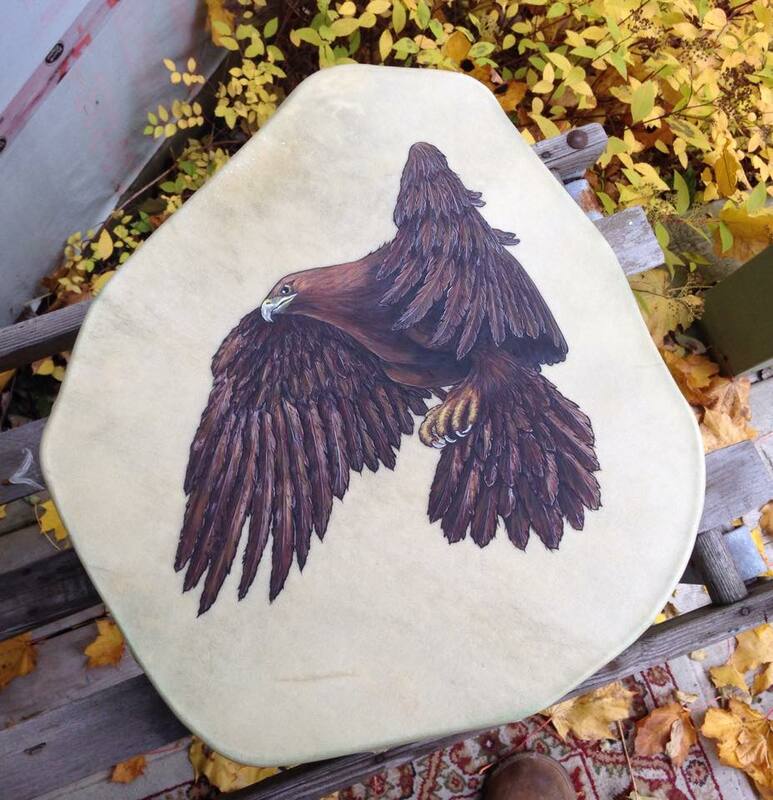 Wisdom Drums International is a home-style ceremonial drum-making/art studio where universal spiritual drums are created. 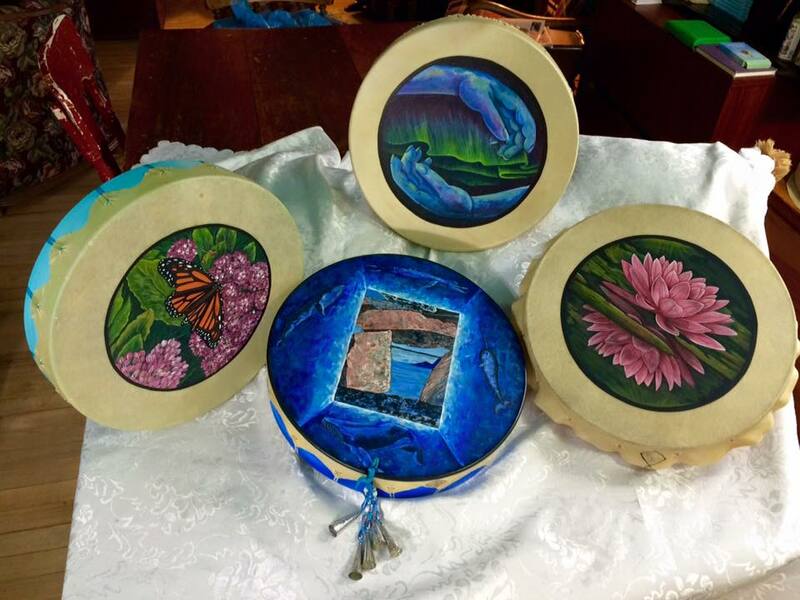 Here she creates her personalized ceremonial drums, designs and paints spiritual art, sells her biography “Challenges of Awakening – Living Parables” and her drum meditation CD “Walking the Path of the Ancients”. Drums have been used from the beginning of time by cultures all over the world. Drums are used for ceremonies, meditation, healing and dream visions while journeying across the vast expanse of your consciousness. Each of Gayle's drums have their own personal story which is the story of the receiver of the drum. 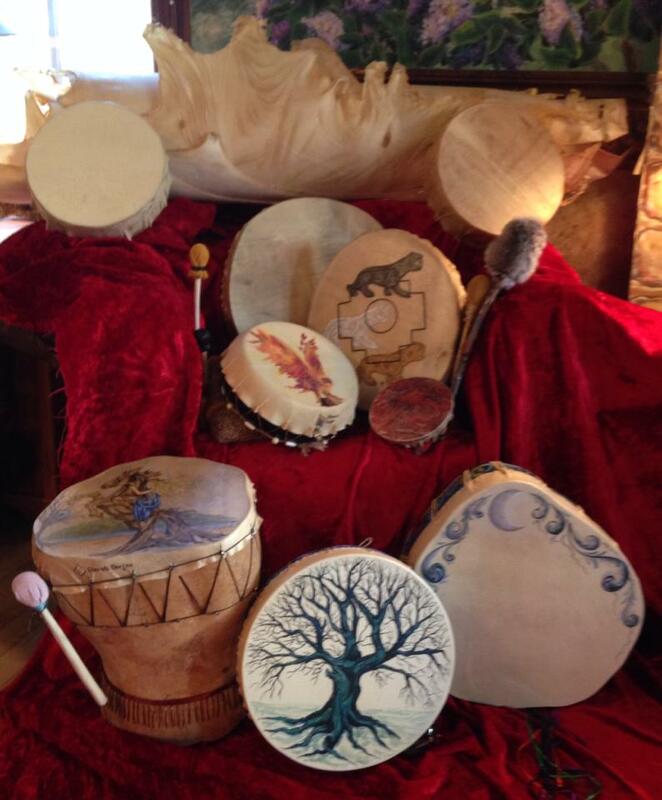 The drum's story is provided through communication with the client and his or her higher self. 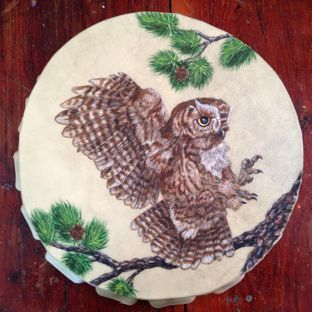 This is an example of Gayle Crosmaz-Brown's Wisdom Drums, painted and created with her own hands. Gayle stretches deer hide over her moulded organic shaped and/or round wood hoops. 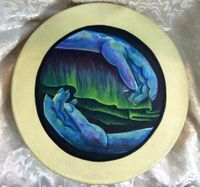 Gayle then paints each creation to include such themes as the four elements; fire, water, earth and air as well as symbolism of mind, body and spirit. Check out Spiritual Awakening books for more information. The intentions set while recording this CD was for relaxation and calming as well as healing emotional issues. Releasing emotional stresses allows the physical body to heal itself. Gayle has also been successfully connecting with the higher consciousness of the Alzheimer's and Autistic mind using drum meditation and sound therapy. The vibration of sound waves connect with the deeper part of all life...... including yours. This detailed Starr Seed Medicine Wheel depicts Gayle's journey from pure energy to this planet earth and the stages of spiritual growth along the way. 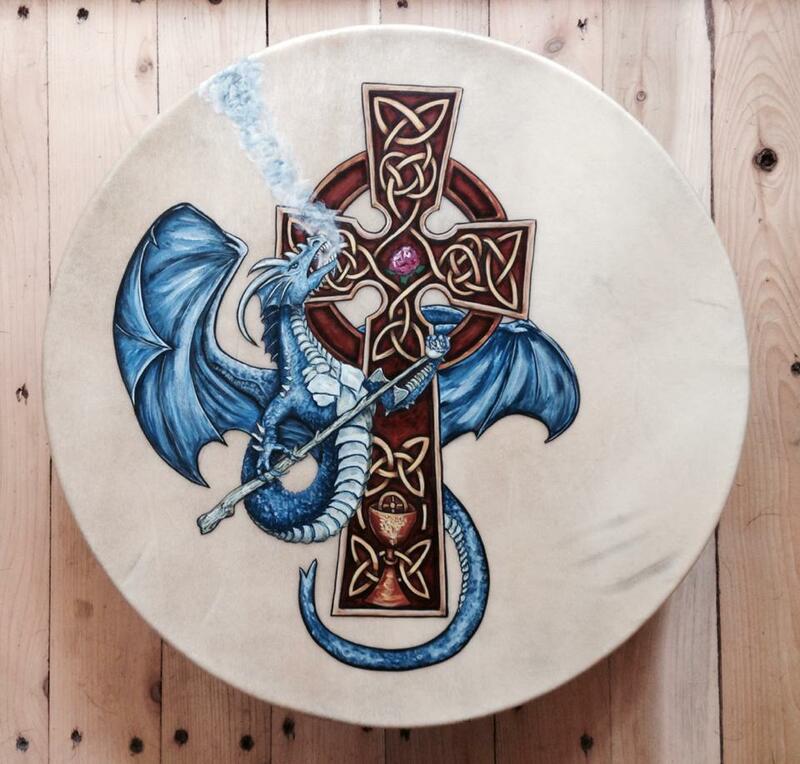 When your drum begins to loose its beautiful voice it may be time for a tuning.